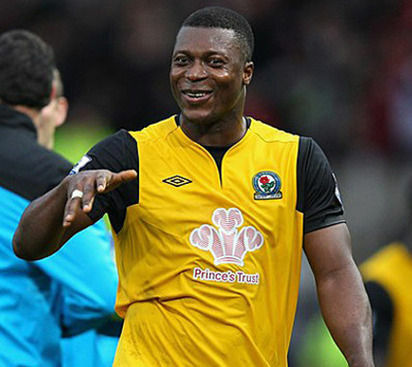 There are indications that Nigerian striker Yakubu Aiyegbeni will be making a return to English football having been listed by fifth-tier club, Boreham Wood for a pre-season game yesterday (Saturday) against Reading. The club, who will take on Reading in what is Jaap Stam’s first game in charge of the Royals, posted: “NEWS: We can announce that Former @Everton @officialpompey @ReadingFC striker YAKUBU will feature for the Wood against the Royals tomorrow. Boreham Wood fans are understandably ecstatic as they celebrated the return of ‘The Yak’. Yakubu is a big name in English football since he made a move from Israel to Pompey; helping them promoted to the Premier League in 2003. He scored 29 goals in two seasons — including four in one game against Middlesbrough — to earn a move to Teeside. Aiyegbeni 33, last played in Turkey for with Süper Lig side Kayserispor where he made 12 appearances with no goals to his name .